A challenge of creating a flavor for a bridal shower, that doesn't want to be too "bridal shower". Keeping with trends and a non-girly color palette, but trying to not be harsh or cold. Paying close attention to the vibe and details of the showers location, like textures and color, the invite and coordinating stationery truly felt like an extension of the venue. Nothing too girly, sophisticated and fresh was the direction of Rachels shower. 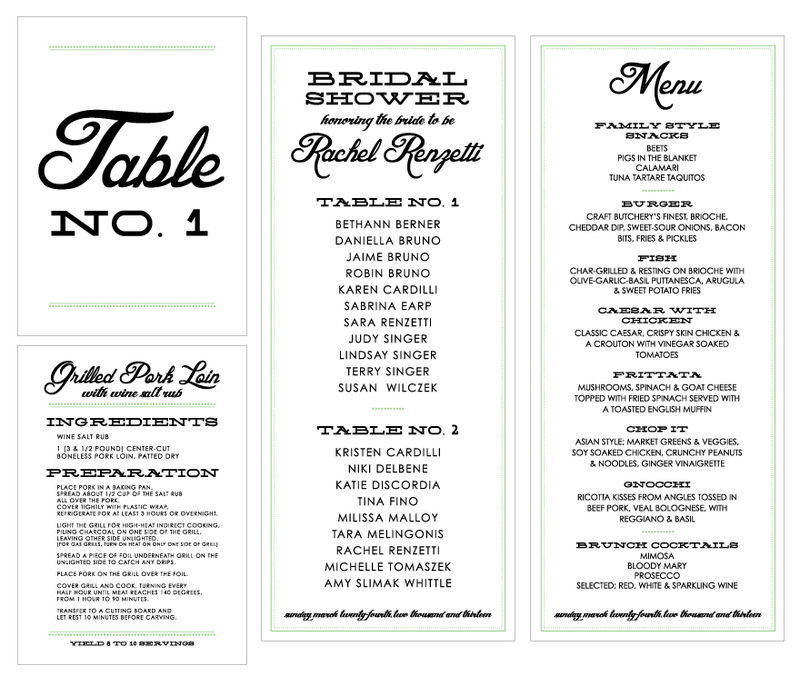 Desiged the invites, menus, favors and centerpieces that happen coordinating with the venues color scheme and flavor. 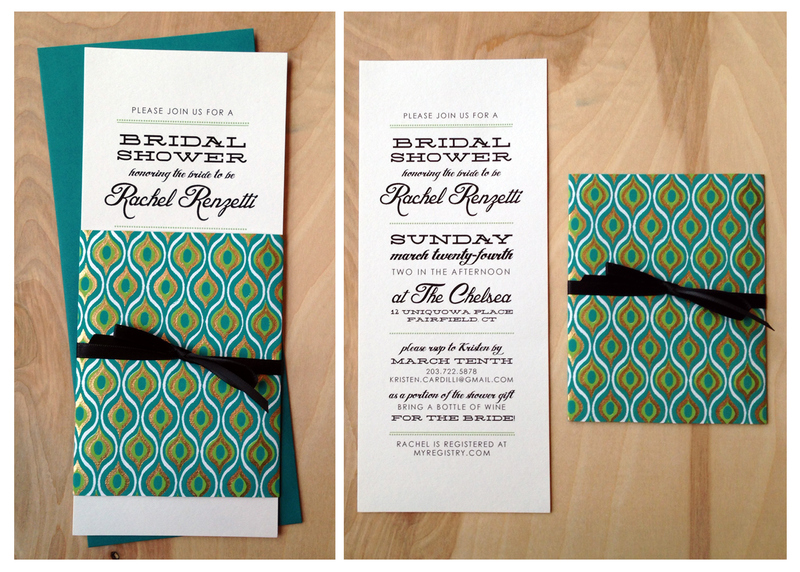 I loved the idea of using special paper to add another design element. I even made origami flowers for the centerpieces with papers in the same color palette in mixed patterns (need to get my hands on a photo). Another lucky friend to have an in-house designer on her team.